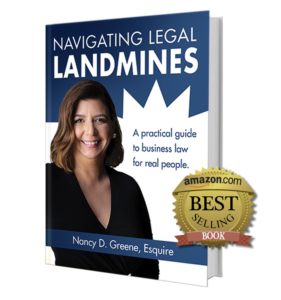 Attorney Nancy Greene > Blog > Employees > Are Job Descriptions Need? Business owners, Human Resources professionals and employees everywhere HATE drafting job descriptions. Sometimes they even skip them all together. After all, what harm could not having a job description do? And isn’t it better not to have one anyway in case there’s a later dispute? Job descriptions are the first line of defense and critical tools for every business. Even when you are the company’s only employee. If you are a solo business owner, writing down what you do allows you to determine when it’s time to grow your business. The business’s first job description for its owner should specify everything the owner does to support the business. Really, I mean everything including putting postage on envelopes or sending out invoices. By tracking what a business owner does on a daily, weekly and monthly basis to create a job description that business then knows how much time is spend on tasks only the business owner can do and how much is spent on administrivia. The owner can review the information to determine which tasks she could keep doing (marketing, corporate vision, those tasks she likes and those only she can do) and which she should give to her first employee or contractor. When you break off the tasks that someone else should be doing you create a significant portion of the advertisement for the new position. After all, if the business owner needs to give up doing financial data entry into the company’s accounting system then the new employee needs to have the skill set to do so. Job descriptions ensure that there isn’t later confusion about their scope of responsibility.Similarly, if an employee is overwhelmed with the scope of responsibilities it’s likely he is responsible for tasks outside his core competency or he needs an assistant. Having and updating job descriptions allows a business to manage and anticipate these personnel needs. An additional administrative benefit to having updated job descriptions is these summaries are the starting point for each employee to create standard operating procedures (SOP’s) for his position. And with SOPs a company can ensure continuity of services if the employee leaves. 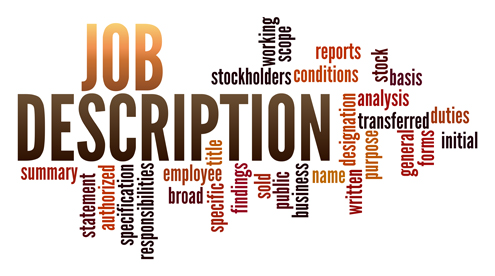 While creating job descriptions is almost no one’s favorite task, having and maintaining these critical documents are the company’s best and cheapest line of first defense for a host of administrative and legal issues. You knew one was coming, right? After all, I am an attorney. Nothing in this article is or should be considered legal advice. This article forms no lawyer-client relationship. Consult an attorney about your situation. WE SPECIFICALLY DISCLAIM ANY REPRESENTATIONS OR WARRANTIES, EXPRESS OR IMPLIED, INCLUDING, WITHOUT LIMITATION, ANY REPRESENTATIONS OR WARRANTIES OF MERCHANTABILITY OR FITNESS FOR A PARTICULAR PURPOSE. We do not give tax or investment advice or advocate the purchase or sale of any security or investment. Always seek the assistance of a professional for tax, legal and investment advice.